Maintaining visibility into who is on the phone and who isn’t allows you to effectively handle calls to insure hold times are short and that callers get handled in the best way possible. The Monitoring feature allows users to observe the line status (e.g., active or inactive) of other phones through the additional line keys on their phone. 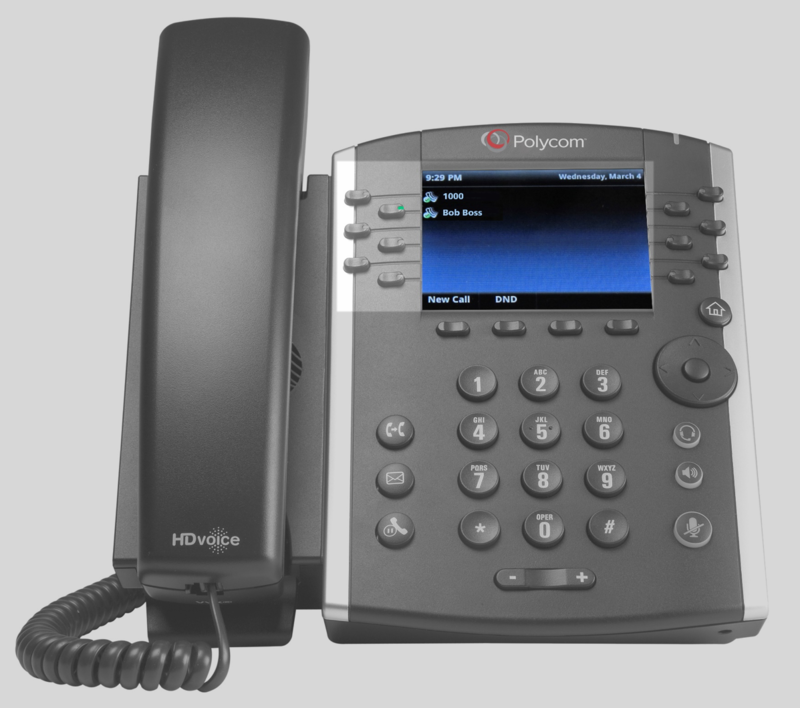 Users can also quickly dial a monitored phone simply by pressing the associated line key. Please note: This does not work in ATAs. The following topics will help you with common Busy Lamp Field related questions. How do I set up Busy Lamp Field (Monitoring) for a User? A. How do I set up Busy Lamp Field (Monitoring) for a User? Go to the Monitor a Line quick link. Select the User to you would like to grant Monitoring capabilities to and click Edit. Check the Call Park Notification box if you would the monitored User to be notified of call parked on their line. For more information on Call Park, please see the Call Park and Call Pickup article. Next, select the phone number/line that you would like your User to monitor by dragging and dropping the phone/line from the Phones Not Monitored window to the Monitored Phones window. 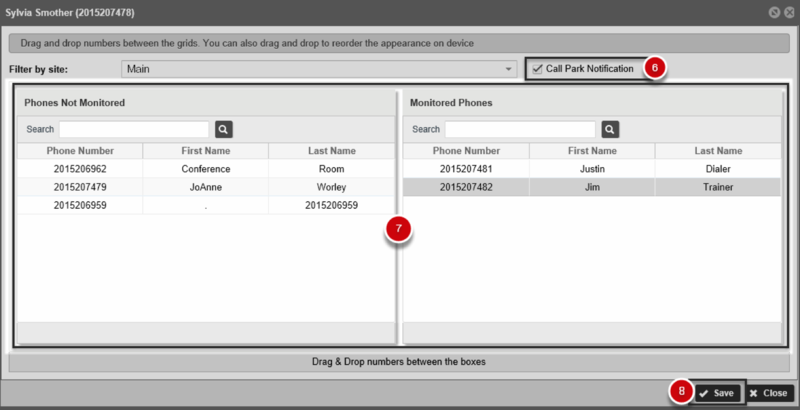 Now this is configured, Sylvia can now see when Justin and Jim are on the are on the phone.